I have been collecting and sewing with selvages for years. I can pinpoint the exact moment when I paid attention to what was written on the side of the fabric. I was working in a quilt shop and we had some bolts of fabric by Michael Miller: Dumb Dot. It has become somewhat of a classic, and you can find some here. Dumb Dot tickled my funny bone. And from that moment, I became enchanted with selvages in general, and dots in particular. In fact, it became my obsession mission to collect anything with the word "dot" in the selvage. I made a quilt with nothing but dotty fabrics, and carefully pieced that collection of selvages into the cornerstones. Along with Dumb Dot, I even found some Dopey Dots. Then I discovered Riel Nason, who gave a whole new meaning to sewing with selvages. A soul mate and inspiration!And now she has written a book all about selvages! I probably don't need to tell you that I hit the preorder button on Amazon as soon as I could. I received my Kindle version the day it was released and it did not disappoint. First of all, let me start by saying that Riel is a writer. And by that I mean an award-winning author (more about that later). 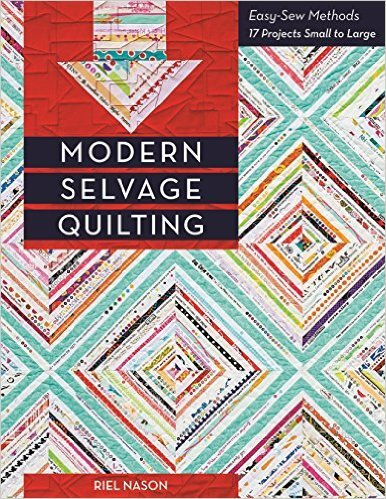 So when Modern Selvage Quilting was downloaded on my Kindle, I started my usual new-book routine by paging through from beginning to end to get a feel of what it had to offer. Then I went back to the beginning, and started with the Foreword. "I have no idea who started all this. I never met--in fact I don't even know the name of--the woman who first made me think I could be a quilter. And there was another woman who helped too, but alas, I don't know anything about her either. I only remember what she once told me. 'Well, if you want,' she said, 'you can fill a whole bag for $5.' That is what is most important to this story." I sat there with my cup of coffee and drank in the story of how Riel started quilting. The "Working with Selvages" section, which includes what they look like, how to build your selvage stash, and different methods of sewing with selvages, is complete and well illustrated, and concludes with some good tips on pressing, dealing with bulk seams, etc. There are also tips on estimating the amount of selvages you will need for your project. And then come all the selvage projects. Riel begins with a small project, pincushions. You don't need a large supply and this is a great project to get your feet wet. Or both. I have LOTS of selvages!! And a small confession: when I first started collecting, I sorted selvages by "theme"--anything with a flower theme, animals, Christmas, Halloween, fabric designer. It's easy to get hooked on selvages. For sure I will be sorting some selvages by color to make this pillow. I love the way Riel moves through the book using different techniques with different projects. Whether you are experienced in sewing with selvages or a newbie, whether your collection is large or you just have a few, you will find just the right project. 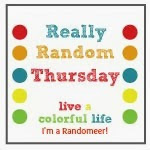 I hope you will check out her blog (because she sews lots of other fun things besides selvages) and this link to her selvage projects on her Pinterest page. I also highly recommend The Town That Drowned. This remains one of my all-time favorite novels. And I'm so thrilled that her second book will be coming out in fall. Ready to sew with selvages? C&T Publishing is generously giving away a copy of Riel's book (hard copy if you are in the US, ebook is you are elsewhere). So just leave a comment and let me know if you already have a collection of selvages. If yes, what have you made with them? I'll choose a winner on Saturday, May 14. Check out these other selvage lovers too! YES, I have a vast collection of selvages but the only thing I have made with them to date is labels. I NEED to get crackin' & this book would definitely provide the impetus. Thanks to you and Lollyquiltz I have been collecting selvage a for several years now. I have covered the cushion of my sewing chair, but that is all! This looks like a super fun book! Hmm, comment disappeared while I was typing...again. I've been saving for a while and have a drawer full. I've made valences with them for the sewing room and really want a quilt for ME with more...I love the look of sevage sewing. I have BAGS of selvages! I have made a lap quilt, pin cushions, and a bag. I also used Riel's Mummy quilt as an example to make my own! She is my hero! My collection would be larger if my oldest daughter would stop stealing them for her own projects! my collection is rather small. for all these years i have been sewing i have not saved them. now i am. your dot quilt is wonderful. i love those little pincushions and the turquoise maybe to be quilt. I have been collecting selvages but have yet to start a project with them. Look like Riel's book would offer great inspiration. I think I might be in the minority on the selvage craze! I do have a small bag and I have never made a thing with them. I use mostly solids which we all know have no cool selvages...they should!! 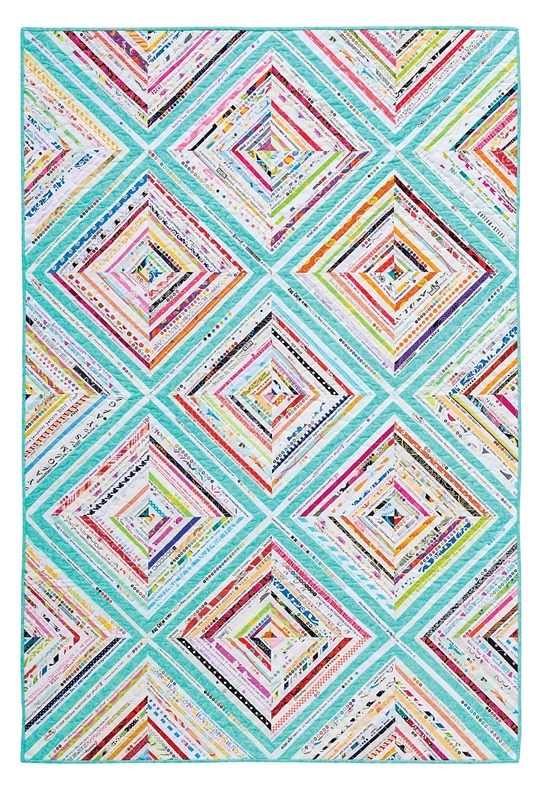 I am in love with the medallion quilt. I'm starting to get that tingly feeling!! I don't have a collection of selvages, but some of those projects may cause me to rethink that. 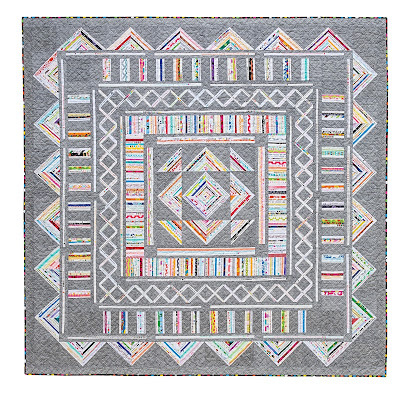 That medallion quilt is sort of calling to me. I just have a few in a glass jar, but I want to read that foreword. I believe I need to get started on my little collection! Great post! Love your pin cushion! I really need to try making something with piping, it really adds to the look! I have been collecting selvages for years too...and made a pouch once. See you on the 19th when I get a chance to share!! I'm in the COLLECTING stage! No I don't have a collection of selvages. Although it pains me when I throw them out. Good to know others are holding to them now I feel justified in saving them. I have enjoyed Riel's work - especially her Halloween piece. I have done several small projects with my selvages, but saving them for a big project. I recently started saving my selvages but have not made anything yet. I am making my nephew a graduation quilt and was thinking to make the label from selvages from his quilt. I enjoy Rial's work. So many pretty projects. I think I'd start with the pillow. Riel's book sounds fascinating. I cringe when I think of the selvages I have disposed of over the years. No more! I am determined to save enough to make something, starting small. About a year ago I mailed my selvages to a blogger that uses them. Since, I have collected a lot more - taking care to leave a useable amount of the fabric piece. Now that I have done a better job of cutting, I just may use some myself. Looks like this book would be a good addition to a quilter's library. I don't have any sort of collection (I don't count fabric. 😉), but the idea of this book sure makes me want to start! Love the pincushion. I just started saving selvages, and I have been quilting for more than 25 years! Ugh! Thank you for sharing. Yes I do because you inspired me to!! I've added little pieces to small projects but have a big stack waiting for a bigger project. 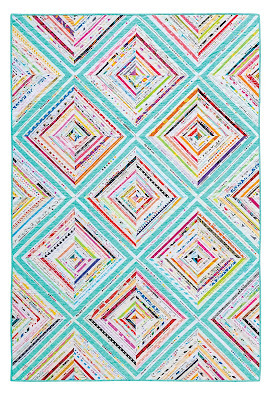 I would love to see you make that beautiful medallion quilt! I save my selvedges but so far have not used them. Someday I will! I've been hoarding selvages for nearly five years! I have two huge bins of them. So far, I've only made pincushions and used them on a bookshelf mini quilt. I've been saving them for that perfect project. This book may be that perfect project!! I do have a collection of selvage a but have only made small projects so far. I would love to win this book and try something new! Yes I have collected them for years. I have jars/bags/boxes of them. I also ask for them in swaps and have wine some in giveaways. I have made pillows, mugrugs and pincushions with them. I want to make a sewing machine cover with them. My selvedge strips weigh in at 3lbs! I have made two pair of slippers & a zippy. Definitely need to plan a large project, thank you for this opportunity! I've been collecting them for a long time, but haven't really used them for much of anything besides a little trim here and there. I'd love to get some ideas from this book! I stopped tossing selvages a few months ago. I have a bag full an am waiting for some inspiration. I don't but this book could convince me otherwise. I have a laundry basket full of selveges waiting to be used. I started a selvege quilt last year, maybe this book will inspire me to start working on it again. I have been collecting I have quite a collection of selveges, but I haven't made anything yet. This book is what I need to get started! Thanks for the review and giveaway. Yes, I love them & it's fun to walk into a guild a mtg and someone call my name and toss me a baggie of even more! I'm fairly new so only have a small collection, but this inspires me - especially the cute little rainbow pillow! I'm happy to say that I have met Riel in person, when she visited Vancouver as part of the Writers' Festival. She is funny, warm and friendly (of course she is because she's Canadian! :D) I, too, love The Town That Drowned and I'm looking so forward to her new novel. I've had my eye on this book and I have a nice collection of selvages, though I haven't made anything yet. Don't have any selvage yet....but it's never too late to start collecting! Unfortunately I don't have a collection of selvages, but I do have a vast fabric collection, so the collection of selvages is a very real possibility. I have begun saving them, but don't have a huge stash...yet! I have been saving and looking for some cool projects to make the most of them. I would love to have enough for that large blue quilt!! I do have a selvage collection and the only thing I have made so far is Crazy Mom Quilts Scrap Happy Bag. I'm a beginner so I don't have a lot but I'll keep saving them for some of these great projects! My bag of selvages is bulging at the seams. Maybe this book would get me started on a selvage project. I started collecting selvages back in the fall when I met Riel at her trunk show in Amherst, Nova Scotia. Looking forward to eventually having enough to make something fun with a lil help from this book! Yes, I do have a collection of selvages! I can't ever slice through one. I have made one small project with some of them. It's a mini wall quilt with my One Word for 2016 appliqued onto it. Even the word is made from selvages! I collect the selvages for a friend who makes gorgeous projects. I did use some to make a mummy wall hanging for Halloween. I thought it was a perfect use. Hi,I hopped to you from Sandy. Selvages, not many, but if I had saved them from when my Mum was a dressmaker way back in the 1940's and earlier, and from then on, I would have hundreds. Lovely patterns for super ideas, and as I am way down south in New Zealand, e-books are the way to read these wonderful patterns, another very generous give-away. I just started collecting selvages late last year. Haven't made a thing with them yet, but I did tell my daughter to start saving hers for me so maybe my stash will grow quickly. I'd love to be able to make a quilt from Riel's book with them. I keep a pile going but usually give them to a friend who loves them. Maybe I should save them for myself. I just have a few in my collection and have been using them for tying things like batting rolls, etc. Guess I will have to start saving them for a quilt! I have collected a fair number of selvages, but I have not made ANYTHING with them. I need a kick in the pants to do so. Maybe this book will get me started! Thanks, Cindy! Yes, I do have a collection of selvages, but I have not made anything with them, yet. Maybe this book will give me the inspiration. I have a small collection, but the only thing I've made with them are some log cabin rice bags--really small ones for the little ouchies that come up in our day. I need to do something about that! Riel, it's wonderful to meet you via Blog. 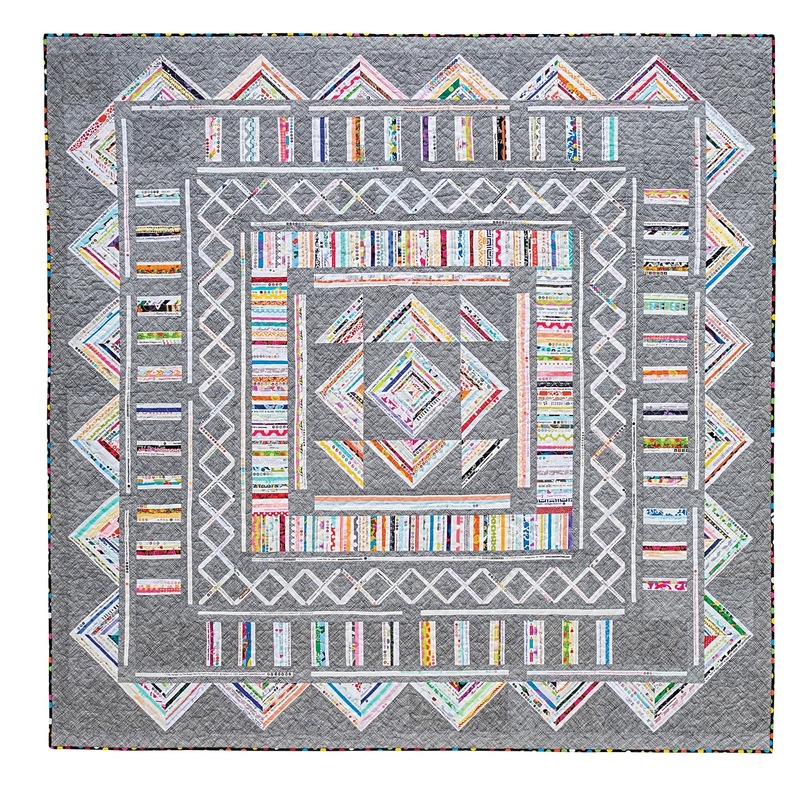 I read a review of your book posted by Anita at Day Dreams of Quilts a bit ago. She encouraged me to start saving those selvages and to cut wider than I had been. So yes, I have a bit of a selvage stash now and have made only a pin cushion thus far. Thankyou! i have been collecting selvages for 2 years now and i have a lot. i have made mug rugs, pincushions. and fabric buckets (to hold selvages). I have a bag of selvages. This book may be my way to find a project for them. I have lots of selvages, and found your blog looking for ideas. I have made a jacket and started a big block quilt with them. I have only a small collection of selvages, although there is plenty of yardage that has them still attached! So far the only thing I've done with them is piece a few into some scrappy potholders and make a couple into tiny "tags" that I added to quilts. This book might get me started on something new to me! I am working on a selvage spider web quilt. Yes I collect selvages and no I have not made anything with them, not even a pincushion! I want to make a string spiderweb quilt with them (Bonnie Hunter has a very cool free pattern and tutorial on her blog), but I really love the preview pictures that you have posted, so I hope I win the book! I've never saved them, but I guess I should! I'm a little late to this. I've never sewn with selvages but I bet I could scrounge a bunch of them off my sewing room floor. I do have a huge collection of selvages, but have yet to make a thing from them--I think I better get this book! I started saving selvages last year and I have asked other quilting friends to save them for me if they on't use them themselves. I also got salvage tape free from I Love Patchwork and Quilting magazine this month. I've been saving selvages but I think they multiply on their own. I read the post showing your grandkids - beautiful! 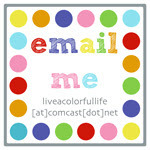 I love you and our blog and was happy to bump into you at lunch in Pasadena and get my very own Live a Colorful Life pin. I read Riel's first novel, The Town that Drowned, when it came out, preordered it after reading about it on her blog. I have been giving my selvages to my friend who is a fiber artist and who does amazing things with them, but may start playing with them a bit myself. I would love to win a copy of her new quilting book! I save selvages - when I remember to. I'm not sure what to do with them yet but this book will I'm sure inspire lots of projects. Thanks for the giveaway. I started saving selvages a few years ago after seeing a photo of a selvage quilt online. I haven't made anything with them yet, because I don't think I have enough for a quilt. Thanks for the giveaway! I have a growing collection of selvages that I began a couple years ago when I came across your blog and saw the fantastic things you do with them. And to think of all the ones I had thrown away over the years! I'd love to have this book and find a project to put my selvages into. Thanks for the chance! I have a huge collection of selvages. I have already made one quilt and have another top almost finished. 5 would love to win the book. I have been collecting salvages for about a year but I don't know how to sew them. So hope I win. Still collecting and hoarding selvages, waiting for inspiration to sew them into something fun. After seeing some selvage projects at my LQS I started saving them. I've noticed the designs keep getting cuter. The book sounds like exactly what I need to get started sewing salvages. BTW I'll join you for a retreat. I have been saving selvages, for that someday project. Looks like her book has a lot of great ideas. Great idea to start with pincushions. What fun, Thank you for sharing. I've been saving salvages for awhile but have no plan for using them. This book should be helpful for that! I have watched quilters use selvages for fun....now I think it is time for me to play with them too!!! I have not used selvages. How do I want to start saving something else? I have a very large bin nearly full of selvages, but I have not sewn with them yet. This seems like the book for me! I always gave my selvages to my quilty friends and finally kept some for myself and made a pincushion. How many years have I been throwing my selvages away?!?! Will definitely be saving them from here on! Thanks for the wake up call! Yup. I'm a selvage-aholic too. I've made wall hangings, mini quilts, zipper pouches... quite a number of things actually. I think I like hoarding them as much as I like making things with them! I have a collection of selvages, all sorted by color. I'm excited to see this book. She has lots more ideas than I do. I have made several things. I have a basket of selveges and started a spiderweb quilt. I'm throwing my hat in THIS ring, for sure. I've followed her blog for a long time now, and glad to see her book has come to fruition! Great write-up, by the way. Hmmmm. Are you a writer, by some chance? Yes & I won a basket of them last wknd at my local guild's show!